We were lucky enough to catch up with David Alfrey who recently completed his training contract at Clifford Chance and now practices as an Associate in their world-renowned Banking and Finance Department. David shares all of the wisdom he picked up over his training contract; including how to pick an area of legal practice, what the work-life balance is like at Magic Circle law firms and the three main attributes that applicants should demonstrate. What’s Been Your Journey Into Law So Far? I grew up across three countries – I was born in Pakistan, then I moved to Dubai and finally came to London. I studied Law at the University of Warwick. From there, I took a year out and did a bit of travelling. After that, I completed Clifford Chance’s bespoke LPC at BPP before starting my training contract. Which Seats Did You Sit in at Clifford Chance? I started off in Capital Markets, sitting in structured debt. Overall it was quite an intimidating start: I didn’t know how to work my phone, I didn’t know how the elevators worked, I didn’t even know how to order a taxi! With the help of everyone in my department, by the end of my first week, I even had partners asking if I wanted to play a game of squash or join them for dinner! The content of the seat was a stranger to me, but we were heavily trained although most is learnt on the job. My second seat was in Asset Finance, which was very, very different. The speed with which transactions opened and closed was astonishing and there was always a real buzz on the floor. It was a team that I was especially impressed with; while the team works hard, it plays hard too and despite the intensity of the deals, everyone wears a smile. From there, it was Public M&A. This involved working with publicly listed companies on the London Stock Exchange. The companies were massive, the deals were massive – in fact, during the entire seat, I worked only on one transaction, which ended up becoming one of the largest M&A transactions in 2017! The deal I was on even made the front of the Financial Times … twice! After that, I moved to Intellectual Property within the Technology, Media and Telecoms teams. I was very much enamored with the variety in that department. I worked on everything, from superheroes rights to rollercoasters to music streaming. It was a great seat in terms of seeing the intersectionality of law firms too, since we acted in an advisory rather than a transactional capacity. From Your Own Experience, Do You Have Any Tips for Picking the Area of Law You Want to Train in? What I would recommend to anyone going into a training contract is not only to base the decision on which areas you enjoyed reading at university. Practical application is a completely different creature. Simply put, you haven’t actually experienced what it’s like to do the work in the building. So, if you are going to come into the training world, look for a firm which allows you to do everything. If you want to become a finance lawyer, go for it, but do it in a firm that gives you a corporate background as well so that you have the flexibility to change. But it also depends on what opportunities you have for qualification. My advice is to speak to the partners and have a frank conversation about the team you want to join and whether you have a realistic chance of getting it. In that respect I was fortunate; I had a few opportunities on the table. In the end, I went with Asset Finance because I really enjoyed it. It’s worth mentioning that when I started my training contract, I had no clue what area I wanted to go in. And that was absolutely fine. If someone comes to me and says, ‘It’s too big, I can’t get in’, I say, ‘No, it’s chrome and glass, with a very soft heart’. In fact, it becomes very obvious very quickly that nobody is in here because they thought they belonged here from the start. They came here because of their ambition and desire to work hard. And that’s exactly what I found, which meant that I had support from the start to figure out what type of lawyer I wanted to be. And that really strikes to the core of why I recommend Clifford Chance. Need more help deciding where to specialise? 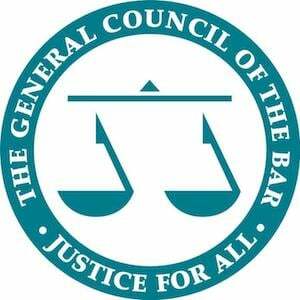 Check out our Free Areas of Law Guide Here. What Would You Say to Those That Might Think the Work-life Balance at a Magic Circle Firm is Difficult? Yes, rumour has it that major international law firms such as Clifford Chance work you hard and the hours are long. But something I always tell graduates is not to think about it like, “you work twelve hours here and eight hours there”. You can turn the job into a 9-5 traineeship, but it just so happens that 5 pm is when the really interesting deals come in. When a partner emails you asking if you’d like to join a deal which is potentially cutting edge, your choice to leave at 5 pm might not be detrimental to the firm, but it does mean you’re missing out on a different form of fun and personal development. But what can be quite shocking at first is the time management aspect to this: as a trainee, you have to budget in that extra time – if you’re going to spend time doing something difficult, you have to account for the fact that it will take double the time since it is often the first time you are doing it. 10 pm can easily become 2 am, but it’s completely your choice – no one will force you to do this and everyone will recognise your contribution to the transaction if you do. Don’t fret though, the work-life balance is great – there are monthly trainee socials (not including each of the departmental socials). It’s not all just work. What Sort of Individual Should Apply for a Magic Circle Training Contract? Everyone. But the common trait for ‘everyone’ should definitely be ambition. You don’t need to be a genius – I’m not – but you have to be willing to work hard and have passion. If someone wants to come to Clifford Chance – come for an open day, or a vacation scheme – just try it (I should add, that I had neither an open day or a vacation scheme). If it’s not for you, there’s no shame in that. If anything, you’re closer to figuring out what you actually want to do in the future! What Do You Think are the Three Main Attributes that Would Make an Applicant Stand Out? I’ll use myself as an example. I applied for a training contract with Clifford Chance and the question I was asked was, “What is your greatest achievement?” As an aside, I should mention I didn’t get an offer from Clifford Chance the first time I applied, so there is a lot of encouragement, if that’s anything to go by. Before my last application, I realised that this whole time I had been answering (rather perfectly) the question, “What do you think we want you to say is your greatest achievement?”. When it came to my last application, I stopped answering based on what I thought they wanted to hear and started talking about what I wanted to tell them. And what I wanted to tell them is that I am a concert pianist, and that I play other instruments too. But what does that have to do with being a lawyer? It shows a certain amount of discipline and that you’re hard-working…It entails a level of sacrifice that you have made to get that achievement. So Lesson Number One: Be Honest. Lesson Number Two: Have an Opinion. No matter what you’re asked, have an opinion. People talk about commercial awareness like it’s a magic word. You say it and suddenly you’re commercially aware – no you’re not. Commercial awareness is nothing more than having an opinion. So, if you want to be commercially aware, pick up an article or a newspaper, read anything. Figure out why people would care and who would publish it and why it mattered. And then ask yourself a question when you’ve given an answer – for example, why would those people read it? So, start from point “A” until you get to a dead end – that’s the point when you know you’ve figured out the piece – at that point you have created an opinion of your own on what you read, heard or watched. Lesson Number Three: Be Fearless. If you want to come to a firm that plays in the big leagues, sometimes you’re going to be faced with a lot of challenges. A lot of the time clients walk in with ideas that they are not sure how to implement. Inquisitiveness, curiosity, and the ability to mark up a blank whiteboard all take a fair amount of self-confidence and courage, which means you have to be brave enough to tell someone more senior than yourself that you don’t agree, or that you do not have an answer. So, in an interview you have to be confident in yourself and your opinion when you’re challenged. You’ve Obviously Done Some Internships Overseas – Do You Have Any Words of Wisdom for Others With International Work Experience? Don’t discount your own experiences. You might think that you’ve done work for a firm that no one has heard of. Instead of saying, ‘Oh, I did an internship at a Greek firm’, tell us the name of the firm – you’d be surprised at how many law firms have probably heard of that firm and know what you’ve done. But the second you generalise, you lose that value. Whereas if you mention the name, don’t be embarrassed about them, they’re big names in other countries. For example, there are bigger firms than Clifford Chance in Pakistan – it doesn’t matter how small they are globally, they’re bigger in Pakistan because Clifford Chance isn’t in Pakistan. If you’re an international student and you’ve done things abroad, talk about it and be proud of what you’ve done. And don’t discount experience that isn’t legal either – working as a babysitter demonstrates a high level of responsibility, and giving music lessons shows you are an effective and empathic communicator. Why Do You Think Law Firms Want to Recruit More Graduates from Non-Law Backgrounds? The starting point is that we have approximately 51% with non-law, 49% with law backgrounds. And that number fluctuates – it’s roughly around 50% one way or another. I’ll answer this by way of example: one of the partners I work with now is an immunologist, but always wanted to be a lawyer. He got his PhD in Immunology, but is now one of the top patent lawyers. I use him as an example because a lawyer needs a certain skill-set to disseminate information in a way that is structured, to be able to identify risks. This is not restricted by academic background. A great part of having people from a variety of backgrounds is you always have someone who is able to understand the subject matter. English Literature, for example, is valuable because we place a lot of value on people who are good communicators, drafters or who understand the use of language. If you want to go into litigation, a lot of what you’re doing is interpreting drafts and contracts. It’s not that far off reading poetry and saying, ‘The poet meant this’. It’s not something that I, as a former law student, can really bring but someone who has an English Literature background effectively could. So, why do I encourage non-law people to come into law? You can still do what you love doing and you can do it in a way that perhaps you might enjoy more. For example, there’s an entire department dedicated to producing publications, and if you enjoy writing you can. It might not be something associated with lawyers, but we have websites full of information and articles, newsletters and reports published internally. Even on my desk right now, I’m in the middle of writing an article. So being a lawyer isn’t about giving up your passions – it’s about using them. It’s about what you really enjoy and whether you can turn your passion into something fun (and constructive). Are you following Clifford Chance on Instagram? Click here now for more information. If You Could Give One Piece of Advice to Someone Who Wants to Work in a Magic Circle Law Firm, What Would it Be? If you don’t know whether you want to work for them, open your laptop, start the application and do it. This goes for the same people who are scared and not sure if they’re good enough. Just do it. – For the person who is applying, I repeat: be honest, have an opinion and be fearless. – For the person who’s trying to choose between firms, go to the firm that gives you the most options. – For everybody starting a training contract, get the basics right. For all the above – do what you love and love what you do – find the firm that gives you that. 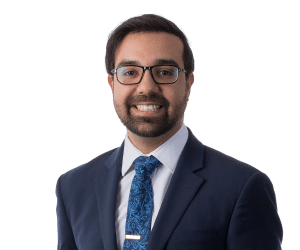 We were lucky enough to interview Clifford Chance trainee Kishan on what it's like working at a Magic Circle law firm and how you too can get a Clifford Chance training contract.